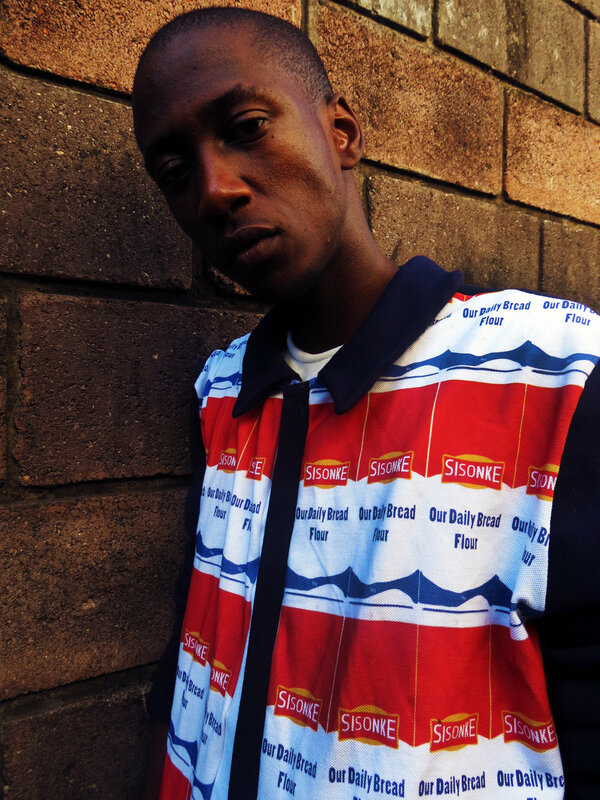 Zane Ngwenya shone brightly among this year’s crop of Emerging Creatives at Design Indaba. The annual programme supports young South African designers through mentorship and a chance to present their work at the prestigious Cape Town conference with previous alumnus including Laduma Ngxokolo of Maxhosa and Katherine-Mary Pichulik. Ngwenya will surely follow in their footsteps. The 22-year-old fashion designer was born and raised in Durban and last year presented her graduate collection as part of Durban University’s show at South African Fashion Week. 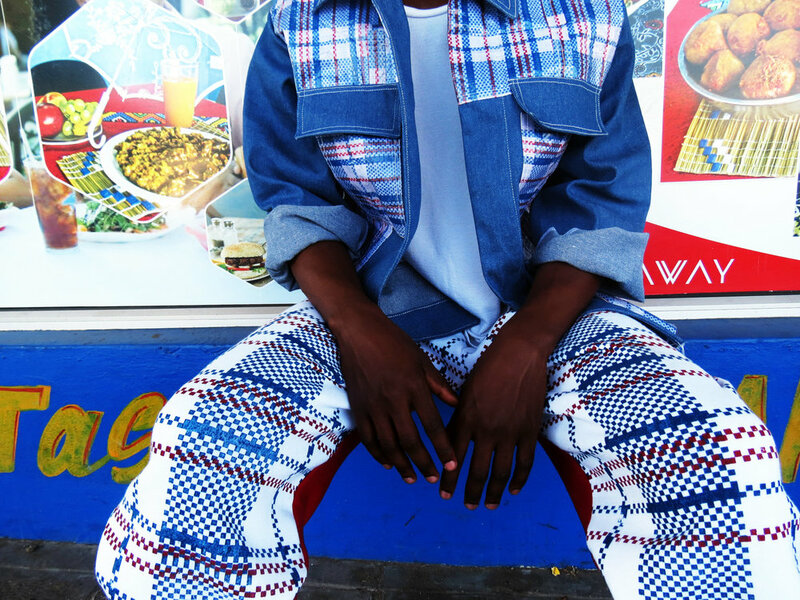 At Design Indaba she debuted her forth year Bachelor of Technology collection, Neo-Pantsula. Her take on this “fluid neo tribe” takes visual references from the townships and turns them into textile prints, such as hand painted barbershop signs, the checks of the ubiquitous PVC bags used by migrants to carry their worldly belongings (known to Zulus as umhlaba ungehlule ‘the world has broken me’) and the Sasko sliced bread logo. “Bread is a main staple of our diets, so I wanted to play with the idea of ‘our daily bread’. We wake up every morning, eat this bread and then go out to work to earn money, which is also our daily bread,” she says.